Anthony Velasco is an Adult-Gerontology Primary Care Nurse Practitioner and has been working in HIV care since 2010. Prior to joining the Desert AIDS Project, he worked as a clinical nurse supervisor at UC San Diego Health in an acute medicine unit specializing in HIV, tuberculosis, hepatitis, opportunistic infections, and AIDS-related cancers. Mr. Velasco earned both his undergraduate and graduate degrees from San Diego State University, graduating top of his class. He is trained in two advanced practice nursing roles – Nurse Practitioner and Clinical Nurse Specialist. 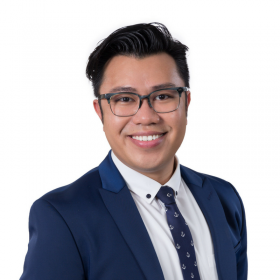 In addition to being a board-certified Nurse Practitioner through the American Nurses Credentialing Center, Mr. Velasco was also awarded board certification in medical-surgical nursing and AIDS care nursing. In 2014, he was honored with the Academy of Medical-Surgical Nurses Career Mobility award. He belongs to the American Academy of Nurse Practitioners, Association of Nurses in AIDS Care, and Sigma Theta Tau Honor Society of Nursing. In each of his academic and professional endeavors, he derives the greatest joy from building relationships with his clients, and from collaborating with all members of the transdisciplinary team to offer caring, comprehensive, and compassionate care. Mr. Velasco is passionate about global health and HIV/AIDS care and has participated in medical missions to Honduras and Haiti. He recently relocated to Palm Springs, September 2016, with his 20-lb cat, Mochi. Although he misses surfing and paddle boarding, he is very eager to explore the gorgeous hiking trails of the Coachella Valley. He is very excited to be a part of the Desert AIDS Project. *As a part of our new EPIC E.H.R., patients of D.A.P. can click on the Patient Portal button at the top of the website to be taken to My Chart, an interactive tool for online advice from a provider, as well as access to health information and test results, the ability to make appointments, to request prescription refills, and more. Visit the FAQ page to learn more about My Chart. You can even download the My Chart app for iPhoneor Android.